The response to our most extensive survey to date was amazing! We have to thank Russ Clark, who having only joined the fleet last year, passed on knowledge and tips that he’d gained from other fleets, especially the Musto Skiff Class. With the UK Nationals being held earlier than usual to avoid a clash with the World Championships in Montreal, we thought we’d start with that. It’s likely that survey responses may have been influenced by the most recent places we’ve visited, but then, they are probably the ones that are best suited to us! Location: The waters of Mounts Bay are the most loved by our fleet. We’ve sailed from Penzance SC (PzSC) and Mounts Bay SC, so we know that we’ll hit the spot when we go back there. However, we’ll not be returning to Mounts Bay for a few years as it’s only been 6 months since we were hosted by an exceedingly welcoming and well-organised PzSC. Event Duration: 43% of respondents would prefer a 4-day championship, with less than 25% voting for a week-long event. 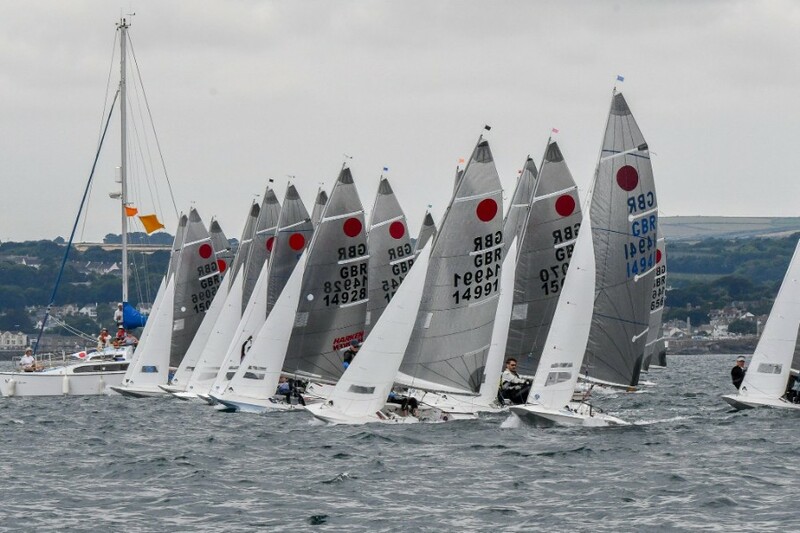 The 2019 Nationals are being held over 4 days at the end of May from the Royal Torbay Yacht Club. We’ve already booked the 2020 Nationals which will be a week-long event at the end of July from WPNSA. We will collect feedback from these two events to make sure the sentiment remains the same. Race Duration: We’re happiest with races taking around 50 minutes. This is roughly the time we’ve gone for in previous years, so we’ll do more of the same. Socials: It turns out you all like a good social! Who knew? 😉 Over 70% of respondents wanted social event included in the entry price. We’ve already taken heed of this and the entry fee for the 2019 Nationals includes a Commodore’s Reception, a 2-course meal and a band. When asking for reasons why some people might not be attending this year’s Nationals, there were quite a few people who needed a crew or a helm, or even a boat! As a result, we’ve set up a match making service on the Nationals part of the website. It’s already had some take-up. Please use it and hopefully we can get some new teams in place for the Nationals and maybe beyond.